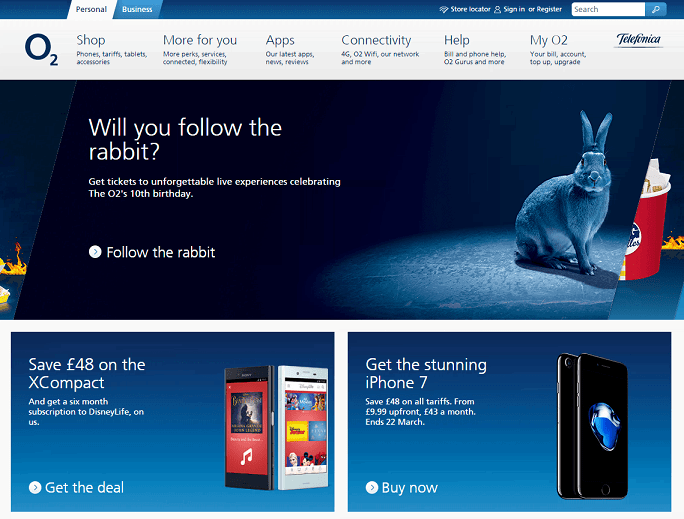 Sign up for free and just shop with O2 as normal. Our average member earns over £300 cashback a year. Please note, cashback is no longer available on upgrades and business products. If you pay off or cancel a Refresh PAYM contract before the 6 month validation period is completed. Cashback only available for new customers. O2 cashback can be earned simply by clicking through to the merchant and shopping as normal. O2 Cashback is available through TopCashback on genuine, tracked transactions completed immediately and wholly online. Claims for O2 must be lodged and submitted within 1 year following the order date. We are unable to submit any cashback claims after this date. Existing mobile customers adding their first tablet contract are eligible for cashback. Cashback may only be paid on the net value excluding VAT and surcharges but includes additional costs such as delivery. With more than 25 million customers, O2 runs 2G, 3G and 4G networks across the UK, operates O2 Wifi and owns half of the Tesco Mobile virtual network. 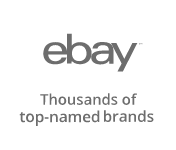 Browse their shop and you will find all of the latest and best selling devices, including the Apple iPhone 6S, Samsung Galaxy S7 Edge, Sony Xperia X and iPad Pro, which you can earn cashback on when you shop through us. You can filter their pay & go and pay monthly mobiles by brand, including BlackBerry, HTC, Motorola or Nokia, as well as colour, operating system (Android, Windows etc), feature or condition, while you can search by high to low or low to high upfront or monthly cost. As well as offering mobiles, you can also buy pay monthly and pay & go tablets by comparing the features and tariffs of models such as the Samsung Galaxy TabPro S, Apple iPad Air 2 and Alcatel Plus 10. When it comes to accessories, you can shop for hands free Bluetooth car kits, cases, headphones, memory and speakers. If you find you run low on data on your tariff, meanwhile, you can top-up with one of their 100MB, 250MB, 500MB, 2GB or 1GB data bolt-ons, while O2 also offer mobile and tablet insurance, international cards for calling abroad and mobile broadband. With O2 Refresh, you can trade in anytime and get your hands on one of the latest handsets on them, even if you are still in contract. It will also divide your monthly bill in two - the Device Plan, which is the cost of your mobile phone or tablet, and the Airtime Plan, which deals with paying for your minutes, texts and data. If you decide to trade in your device at any time, the cash you receive for it can be put towards paying off your Device Plan, allowing you to upgrade to the latest device. For an even better deal, why not sign up to TopCashback using the form at the bottom of this page and see if you can earn cashback when signing up to O2 Refresh? Those looking at O2 deals can find themselves some money off by shopping through TopCashback, and anyone looking to further the savings can use some additional tips and make the most out of what O2 offers. For a selection of the best O2 selected promotions, be sure to check out the great deals section, it’s here where you’ll see the best on both new handsets contracts as well as sim only deals, plus you can also find access to both the clearance and refurbished phone sections. If you’re set on having a brand-new phone, then the clearance area can help you find unopened end of stock phones for a lot less than they would’ve of been; however, refurbished phones are even cheaper, and within that section, you’ll pick a device for even less than clearance. 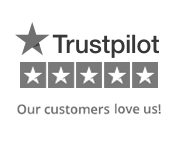 There’s no need to dwell on the fact it’s second hand as all devices receive a five-point check, are evaluated with a grade, come with twelve months warranty, plus if it turns up and you don’t like it then you’ve got a fourteen-day chance to return it for free. Got an old phone? Then you could save more with the recycling service that O2 offers, simply fill out the details of the device and you’ll be presented with a quote for its value. O2 Recycle isn’t limited by the mobile network, so you’re free to trade in any device, and if you find a better price elsewhere within seven days then with O2’s Top Price Promise you could claim the difference. You can find kitting out the family cheaper too, and when you take out multiple O2 deals with their Family Plan, each additional airtime plan gains an increasing discount on up to four extra devices. A final saving tip for those who’ve already taken out a plan is to download the O2 priority app, users get access to exclusive offers including early gig and event tickets, exclusive deals with selected high street and online retailers and you can even win in one of the many prize draws. As well as great O2 offers on mobiles, tablets, SIMS and accessories, you will also find the latest perks, including priority offers, and additional services in the More For You section of their website. If you are looking for more flexibility, you can get a quality second-hand phone on Like New or a new phone, and upgrade on O2 after 12 months on their 30GB tariff. With O2 Priority, meanwhile, you can get more from your phone in the form of daily treats or gig and film tickets. You will be able to get your hands on priority tickets for gigs across the UK up to 48 hours before general release, as well as a range of perks at O2 venues. Not only that, but you will also receive up to 10% of your top-ups back every three months with O2 Rewards. Whatever you buy using our O2 discount code deals, they offer free delivery on all of their devices, monthly SIMS and accessories, and if you order before midnight Sunday-Thursday, you will receive your purchase the next working day. With their premium delivery service, you can choose a time which suits you, which is ideal if you are unsure whether you will be in to take delivery. You will be able to choose a morning, afternoon or evening slot, while you can even select weekend delivery. With home delivery, you will receive a text on the day informing you when you can expect it to arrive. As an alternative to delivery, you can Click & Collect and pick your parcel up from an O2 store. If the product is in stock at your chosen store, you can collect it the same day, sometimes within a matter of minutes. Any mobile phones or tablets which are out of stock or on pre-order or back-order are not available for free next day delivery and will be sent out as soon as they are in stock. Join O2 Refresh and you will be able to upgrade your phone at any time. It splits your pay monthly bill in two, meaning you will pay one fee for minutes texts and data and another for your phone. You can change you phone at any time, but you will have to pay the balance of your phone plan. However, because you are trading your old phone, you will get money off the new one. How To Claim O2 Rewards? If you are an O2 pay as you go customer, with O2 Rewards, you can earn cashback each time you top-up and receive up to 10% every three months. You can claim your reward as extra airtime credit or save it to get money off concert tickets, a new handset or high street vouchers. O2 Rewards can be claimed by signing in to the Priority website with your mobile number or via the app. How Does O2 Priority Work? O2 customers can buy Priority Tickets online or by downloading the Priority app. On these platforms, there will be links out to the ticket purchasing page on AXS.com, Ticketmaster or other ticket vendor. You will be able to buy up to six tickets for each event, although it may be less, depending on the event. This information will be available in the terms and conditions. Priority is free and exclusive to O2 customers, offers everything from daily treats to exclusive experiences and can be accessed via your phone, laptop, tablet or desktop. You can take advantage of discounts on food, drink and shopping or win prizes in their free draws. What’s more, you can get tickets to see top acts at the O2 and O2 Academy, 48 hours before general sale, and early access to your favourite Channel 4 shows. When you become an O2 customer, you will be able to benefit from free Wi-Fi when you are out. Whether you need to check your emails, keep up to date on social media or check out the hottest videos on YouTube, you can do so for free thanks to more than 15,000 O2 Wi-Fi hotspots throughout the country, which you can connect to automatically. Join the O2 phone and mobile broadband network, ranked Number 1 Network for Customer Service Satisfaction by Ofcom. O2 customers benefit from oodles of exclusive goodies. Are you getting our £1 lunches on Mondays with Priority? Enjoy our Priority discounts at popular high street restaurants and retailers, exclusive pre-sale tickets to some of the hottest gigs & live events, free technical advice from our O2 Gurus and free access to O2 wifi nationwide.